St Louis Bankruptcy: What Can I Do About Nasty Phone Calls From Creditors? It depends on which kind of creditor is calling you. Is it the original creditor (like the hospital, credit card company, or payday loan giver), or is it a collection agency? Because the two types of creditors are treated differently by the law. If you are getting rude calls from the original creditor, then the best you can do is to simply hold them off (or try and work something out). However, their job is not to settle the debt owed; it is to get as much money out of you as possible. So the farther you fall behind on your payments, the nastier they will get with their calls (and the number of calls will increase dramatically). And unfortunately, there isn’t a whole lot regulating their conduct. Legally, they can call you all day and all night long if they wish (it may be rude to do so, but it certainly wouldn’t be illegal). They can come to your house, pound on the door, stand outside your house for hours on end. There is very little that prevents them from collecting. On the other hand, collection agencies are tightly regulated by federal law. Specifically, the Fair Debt Collection Practices Act (FDCPA). This law puts tremendous guidelines upon what the collectors can and can’t do. It covers all forms of communication that they might engage in (letters, phone calls, voice messages, etc. ), and it also regulates every other aspect of how they may collect on an old debt. The penalties that the FDCPA imposes is as follows: 1) if a violation of your rights has occurred, the collector has to pay you up to $1,000; and 2) the collector must pay for all your attorney fees (this means that you never have to pay an attorney one thin dime to represent you and enforce your rights under the FDCPA, because if the collection agency violates your rights, then it is the collector that has to pay your attorney fees for you). The US Congress designed the law specifically this way because they figured that if you have a bunch of collectors coming after you, then you probably do not have a lot of extra money to go and hire an attorney. 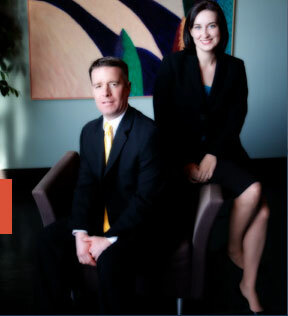 Either way, the filing of a St Louis bankruptcy will take care of all your unsecured creditors. In a Chapter 7, the unsecured debts will be discharged completely; in a Chapter 13, there is a possibility that some of the debts will be paid back (and some will be discharged).